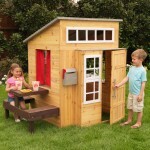 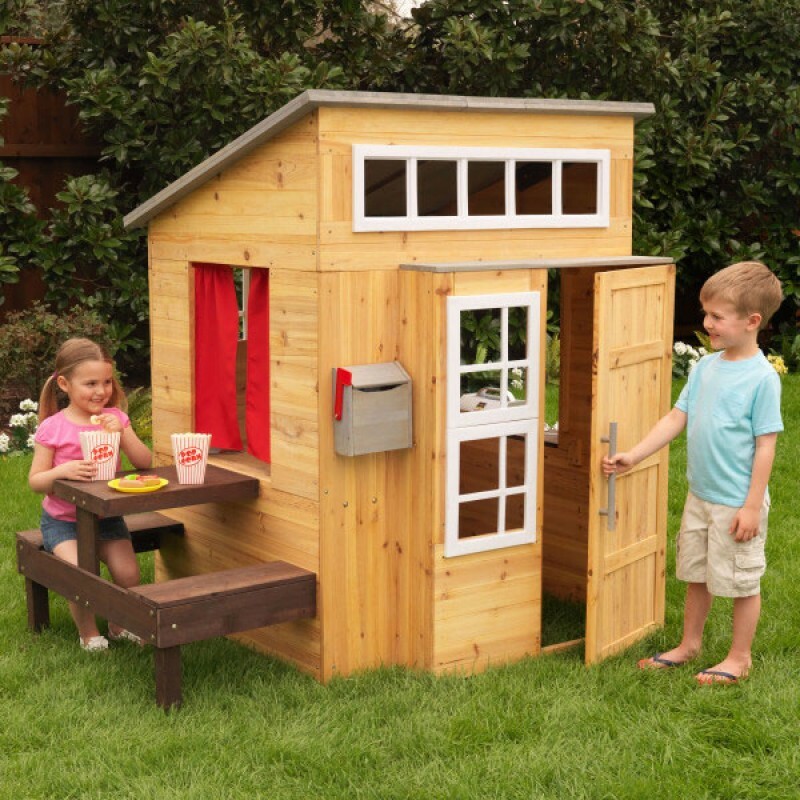 Kids will never leave the backyard with KidKraft Kids Modern Outdoor Playhouse. 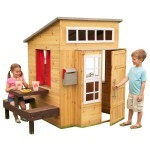 It's fancy playhouse that will surely give the kids different fun activities. 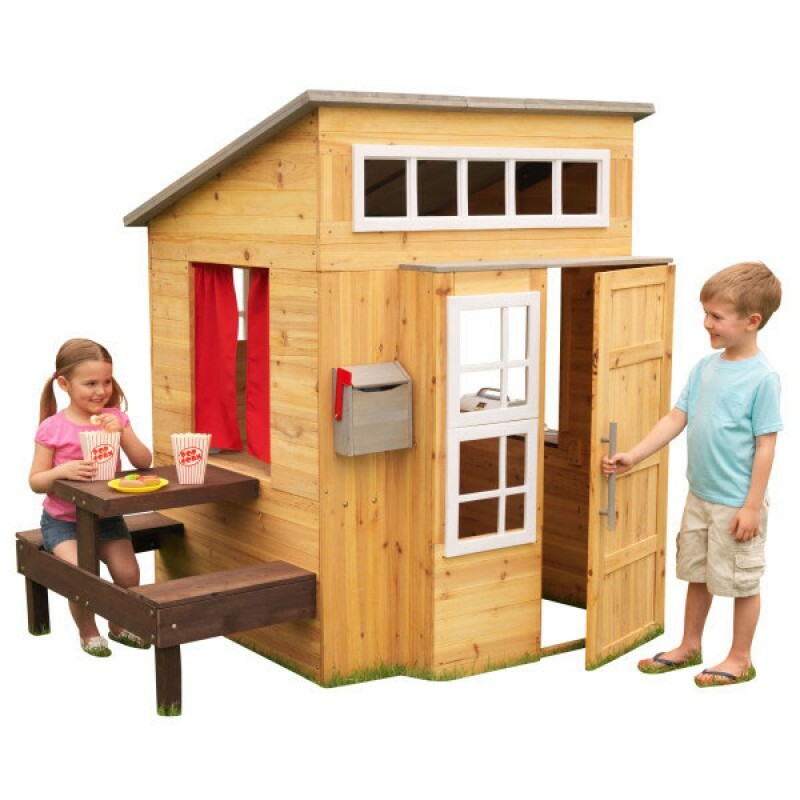 It has espresso picnic table with two benches, outdoor grill and a mailbox. 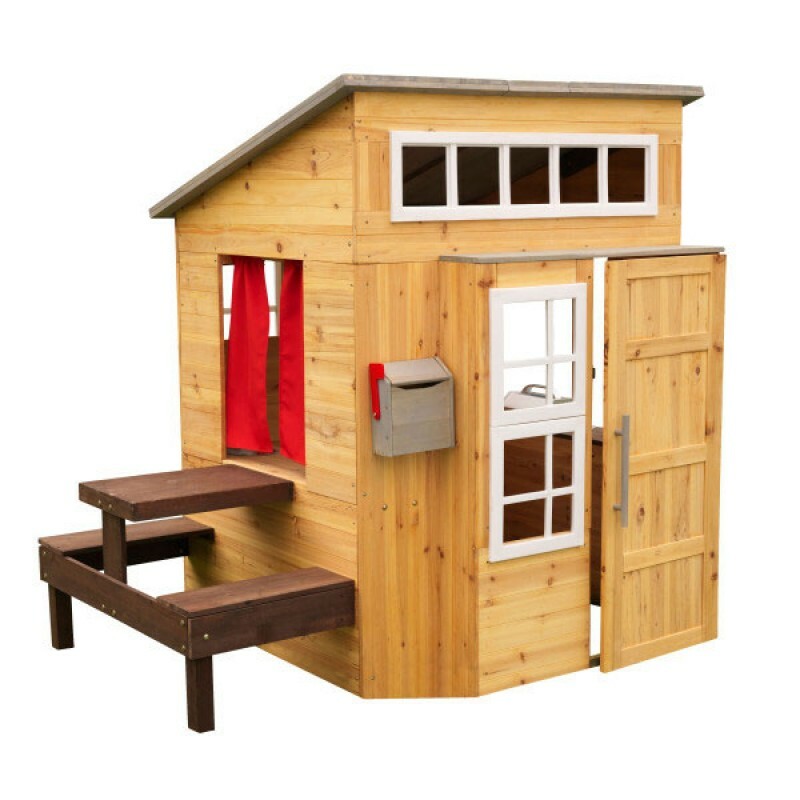 Let the little minds play imaginatively as they find great features in this playhouse that is not only packed with fun things to do with but it also built with water-resistant roof panels and reinforced wooden panels that prevent warping and weathering. 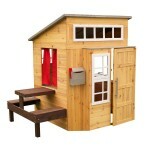 The playhouse's door opens and closes with enough space in and out the playhouse for multiple kids to share joy at play.